I recently attended a meeting that provided some great presentations – one of which was regarding Value Based Payment (VBP). Having recently perused the 86 page New York State Department of Health (NYSDOH) VBP Roadmap, I was happy to have the opportunity to partake in a presentation that portended to provide a simplified explanation of the State’s plan. What I did not count on was the presentation spurring my interest in the history behind New York State’s shift to VBP, and what the expectations are exactly. My curiosity led me to research into the various VBP models offered by the DOH. Each is designed to incentivize medical practitioners, in cooperation with behavioral health providers, community-based providers, and other health care professionals, to improve the quality of care delivered to our state’s Medicaid population. I would like to offer a fundamental overview of what VBP is. How Did We Get to VBP? Concisely, in 2014 the State of New York and the Centers for Medicare and Medicaid Services (CMS) reached an agreement on a waiver that allowed the State to invest $8 billion for Medicaid delivery and payment reform through the Delivery System Reform Incentive Payment (DSRIP) program. In return, New York agreed to submit a multi-year Value Based Purchasing Roadmap. The Roadmap lays out a vision for VBP in Medicaid over 4 years. It is a living, fluid document that provides an overview of the State’s Medicaid VBP strategy and explains how it aligns with other federal, commercial, and State Initiatives. It is updated annually and it provides a way to achieve the State’s VBP goals. 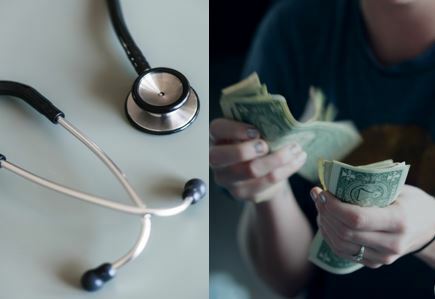 Traditionally, medical providers have been reimbursed for services rendered to Medicaid patients in a quantitative form – the long-established fee-for-service model. Value Based Payment, which I tend to think of as Value Based Care, reimburses based on a qualitative model and rewards providers for both efficiency and effectiveness. This is a considerable change from FFS payments, which simply pay for a service regardless of the result; VBP centers on patient outcomes and how well health care providers can improve quality of care based on specific measures of quality and determining the overall health of populations. Health care providers may have to track and report on hospital readmissions, adverse events, population health, patient engagement, and more. VBP is an extensive concept that not only rewards providers for value in health care services but endeavors to advance the triple of aim of providing better care for individuals, improving population health management strategies, and reducing healthcare costs as well. Simply put, the State’s goal is to reward high value care in order to improve population and individual health by creating a sustainable system through integrated care coordination. Four VBP models for providers have been developed by CMS and include two that are population based (Total Care for General Population and Total Care for Subpopulation) and two that are episode-based (Integrated Primary Care [IPC] Bundle and Maternity Bundle). Each is associated by a level of shared savings and shared risk taken on by the health care provider. While providers in the shared savings levels can retain a part of the savings, shared risk (downside) requires providers that fail to come in below their target to repay the payer for a portion of the financial loss. The idea is that the product (the delivery of care) will be purchased based on its value – similar to someone returning food to the kitchen of a restaurant if it wasn’t prepared the way one asked. The government no longer wants to pay for care that does not meet certain quality standards. That is VBP 101. Please join me in September for VBP 102, where we will dig deeper into the VBP levels and the risk associated with each, as well as discuss what VBP means to care management.